Our Surveyors pride themselves on a high standard of work. If you have problems with condensation or any other property problem we can help you. We can offer Building Surveys also known as Structural Surveys, Specific Defects also known as Engineers Reports or Damp Reports. We can also carry out Independent Valuations. We have written many articles and may even already have written an article about the problem you have. 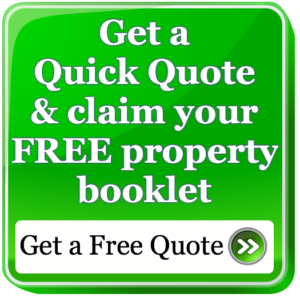 We would refer you to the many articles we have on our Free Property Articles Page. 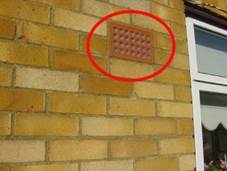 Is it condensation or rising damp or lateral dampness? 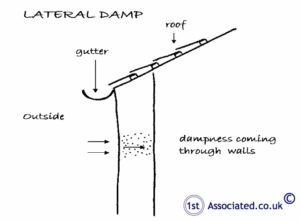 We have come across various instances of dampness that has been thought to be rising damp or lateral damp. 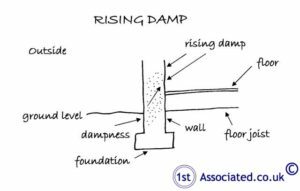 Many people when they see dampness in properties think it to be rising damp, however very often it is not and indeed many argue there is very little rising damp. 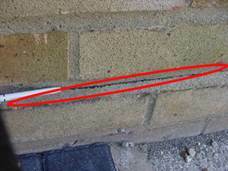 Part of the problem is specialist damp proofing companies. First of all we need to explain how rising damp companies make their money. 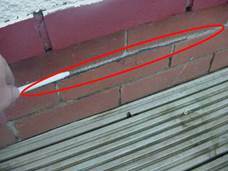 This is from diagnosing rising damp and treating it by inserting a damp proof course and usually needing to re-plaster internally, plus any associated work such as repairs to the floors. 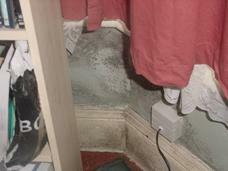 So if they do not diagnose rising damp then they do not have any work. 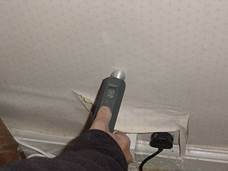 If you do ask a specialist damp proofing company (damp proofing sales person) to come in then do not be surprised if they find you have rising damp! 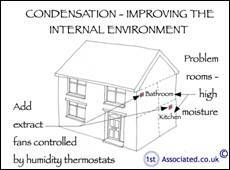 In our experience condensation and lateral damp are much more common. When is a surveyor not a surveyor and really a salesperson? Unfortunately the term surveyor can be used by anyone, unlike architect that is a registered term. You need to look for the term chartered surveyor, which shows the person has spent a period of education, training under supervision and also has a breadth of knowledge and to ensure the person is an independent chartered surveyor. This means that they are not tied to any company (estate agents, building societies and/or banks) and are working for your interests first. There are various other surveyor qualifications but we would argue that there is none that comes near to The Royal Institution of Chartered Surveyors training, which takes many years. Even once a surveyor is qualified they have to carry on what is known as life long learning, which is recorded and monitored by The Royal Institution of Chartered Surveyors (and cannot use the designation chartered surveyor) until they have had the appropriate experience and have been examined upon it. Therefore, be aware of anyone saying they are a surveyor without using the term chartered surveyor. Many sales companies, we feel, have utilised the term surveyor to their advantage when they really mean sales person. To some extent identifying condensation comes with a mixture of knowledge and experience. There are a few factors that are pointers towards the property being likely to have condensation. Probably the most important one is how the house is utilised. 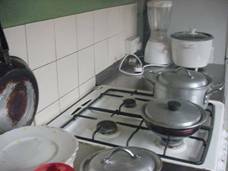 We found that houses that are occupied by many people, such as large families, or what is known as multi-occupied properties, or HMO's (houses in multiple occupation), where there is a great deal of steam cooking or alternatively a lot of showering going on without suitable ventilation, these properties tend to be more prone to condensation. What does condensation look like? 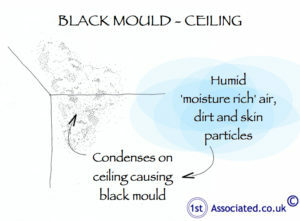 Condensation can take many forms, literally from liquid on the walls to mould on the walls. Condensation can occur almost anywhere. 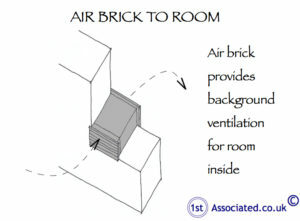 Commonly it occurs in high humidity areas with a lack of ventilation, where the warm air meets the coldness of the walls, so typically at low level. How can we cure condensation problems? 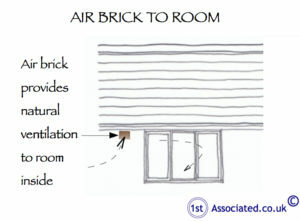 Increase the ventilation in the property, particularly the rooms where water vapour is being caused, for example where there are many people in the same room add ventilation, where there is a great deal of boiling, steaming or cooking going on again add ventilation, where there is a great deal of showering and bathing going on again add ventilation. 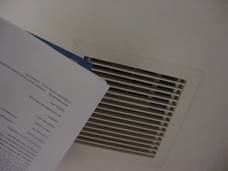 In our experience unless the occupants are almost forced to use the ventilation they will generally not use it, for example when they turn the light on in the shower room it should also turn an extract fan on. 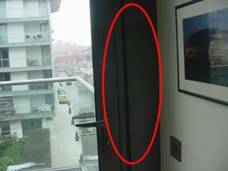 Simply having a window to open is not good enough and will be forgotten. opened nearby but never was. Yes, we do have thermal imagers and yes it can be dangerous for Surveyors using thermal imagers if they do not have enough experience of working with them. 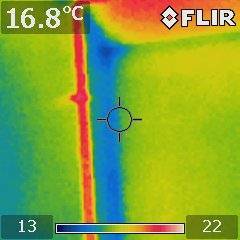 We have developed knowledge of thermal imaging cameras over the many years we have now worked with them. We have even given lectures about thermal imaging cameras at Universities. What are the ovals and circles in our reports? Within our reports you will see a number of photos with ovals and circles that highlight specific problems and characteristics of the property that has been surveyed. If we still feel the problem or characteristic has not been explained enough then we will include one of our sketches that have been drawn exclusively for us to show it in more detail. 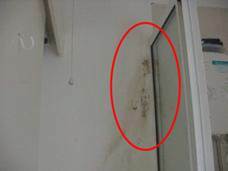 Please contact us for help and advice on condensation issues, surveys, building surveys, commercial surveys, structural reports / engineers reports / specific defects report, structural surveys, home buyers reports or any other property matters on 0800 298 5424 and a surveyor will ring you back to discuss this further. We would like to introduce to you what we call our Good, Bad and Ugly survey which is a building survey, sometimes known as a structural survey, and is something that we have developed over many years, in fact several decades. We have listened to feedback from our clients and amended and altered our surveys to make them easy to read and describe issues clearly. The key factor we believe is that our surveys are easy to understand in plain English. If you are interested in having a structural survey or Specific Defect Report on condensation problems within your property please call us and we would be happy to email you some examples of our tailor made reports. The above article has been written to stimulate debate and discussion. We hope you found the article of use and if you have any experiences that you feel should be added to this article that would benefit others, or you feel that some of the information that we have put is wrong then please do not hesitate to contact us (we are only human).